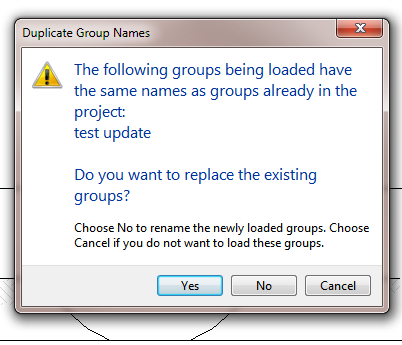 Select all instances of the Detail Group (either through Project Browser or right-click menu). 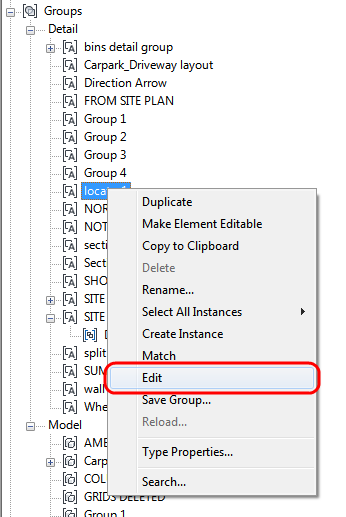 You will see in the Properties Palette ‘how many’ you have selected. 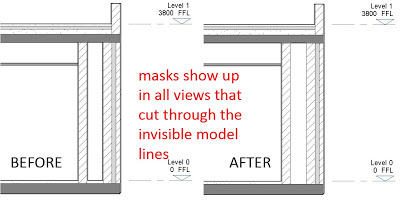 Masking can be a real pain in Revit. Sometimes you just want to hide some bits of geometry on multiple views, but it is difficult to actually model what you want in 3D. So you may resort to Masking Regions in Detail Groups, Copy-Paste Aligned – but all of that is suboptimal. 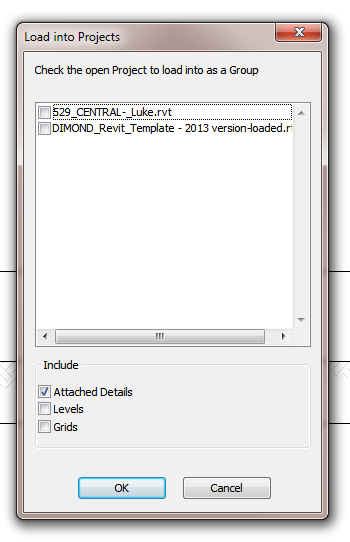 I could use a masking region, but this is like going back to CAD drafting … separate regions in each affected view. 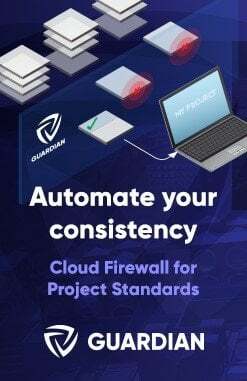 What if I place the mask into a generic model family? 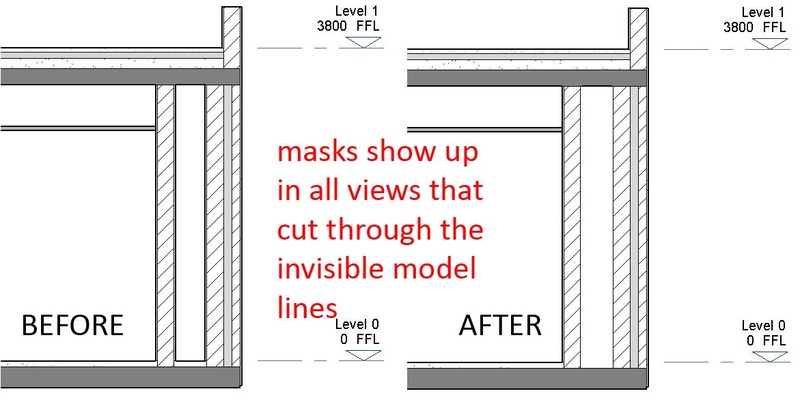 If this family has a vertical model line (use invisible lines) the masking region will show up in any plan where the cut plane intersects the model line. 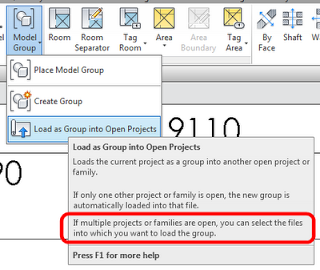 Extending this idea into 3 dimensions I can create a family with 3 model lines (X,Y,Z) and 3 masking regions. 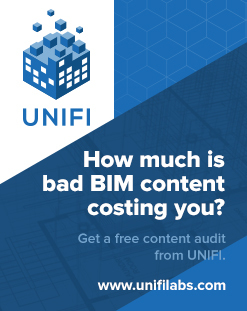 Give it instance parameters to control the size of this “virtual box” and it will mask out the finish layers for any view that cuts through the duct at right angles. When you have a Detail Component family open, and you choose to right-click on a Detail Group (in the Browser) and ‘Save’ it, Revit actually saves this Group as a Family (rfa). 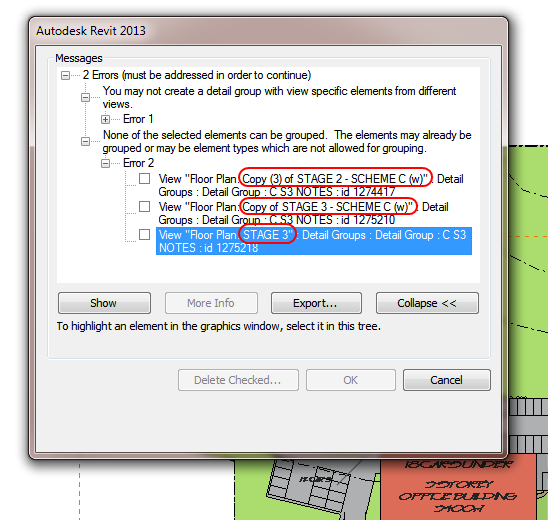 The resultant RFA file adopts the Category of the ‘parent’ family – that is, a Detail Component (Detail Item). When in Edit Mode for a given Detail Group, the Spot Dimension tools are grayed out. 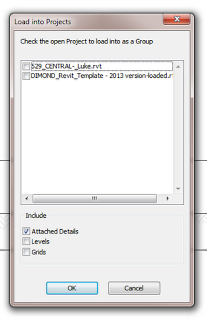 However, if you place the Spot Dimension OUTSIDE the Detail Group, and then ‘Add’ it to the Group – Revit is quite happy. 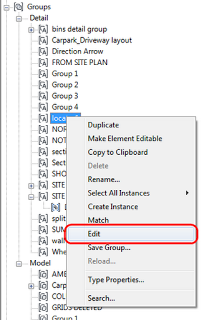 You can even place a Spot Coordinate in a Detail Group (in Plan View), copy the Group instance, and then drag the copied Group around with the Spot Coordinate continuously updating!